Shes ready to take on the world in the Keds x kate spade new york® Bridal Triple Decker Pearl Foxing sneakers. Chunky platform covered in pearl accents. 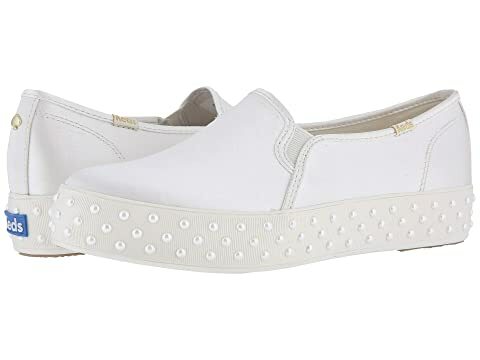 We can't currently find any similar items for the Bridal Triple Decker Pearl Foxing by Keds x kate spade new york. Sorry!